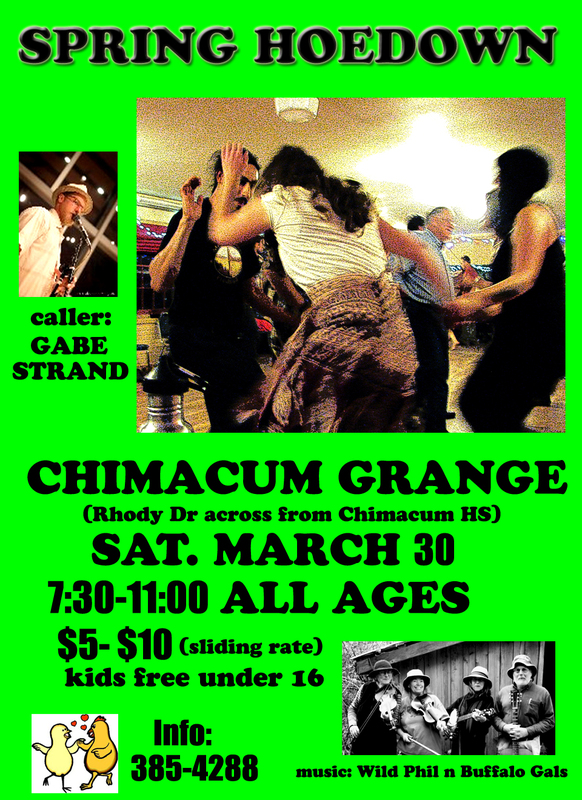 March 16 - For the Third Saturday Quimper Grange Square Dance and Social, the Last Chance Stringband, with special guest Katya Kirsch on banjo, will be playing very lively southern tunes. Calling for that event is yours truly, Dave Thielk. Come as you are, as a single, couple, family, caravan, or troupe! All dances will be taught; no experience necessary. Admission is $5.00 (sliding up to $10 is so inclined). Under 16 free. Dancers are encouraged to bring snacks to share. Dancing starts at 7:30. 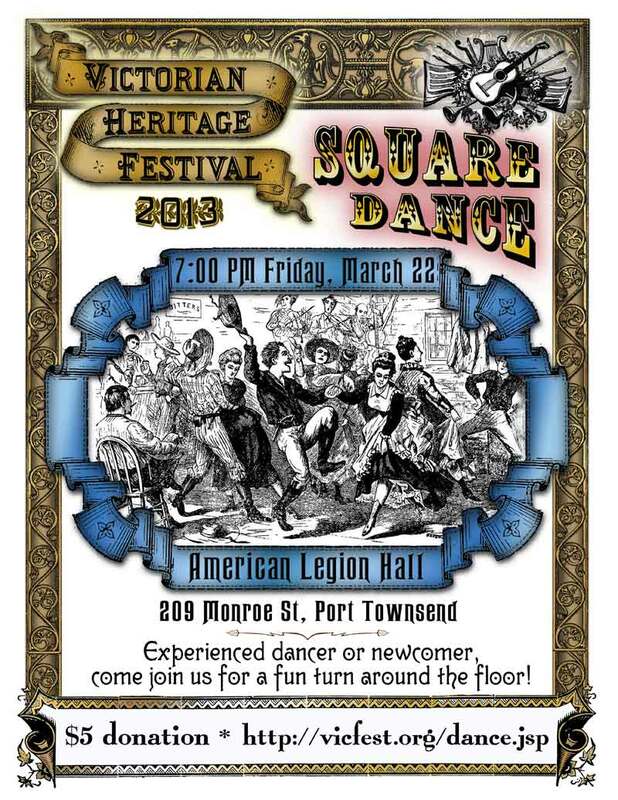 Another traditional square dance event: On Friday, March 22nd, The Victorian Festival is holding a square dance ($5.00 suggested donation). 7:00 PM. The venue will be the American Legion Hall. Caller will be Dave Thielk with Last Chance Stringband. Last but not least - Gabe Strand will visit Chimacum Grange on Saturday, March 30, to call squares. Wild Phil and the Buffalo Gals play the tunes. I think Becky is calling it a Spring Hoedown. Be there or be square! Joe Michaels, well known throughout our region, will be calling contras on March 9th (Second Saturday) at the Quimper Grange. Wild Phil & the Buffalo Gals will be playing the tunes. 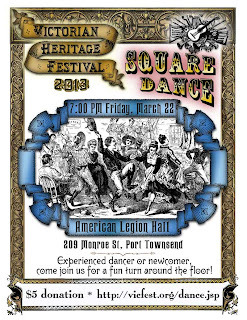 The dance begins at 7:30 and ends about 10:30. $6.00 fee, $3.00 for those 3 to 18 years, free for under 3.